Located on the coastline of the western Algarve in Portugal, Alvor has grown from a traditional fishing village into a popular holiday destination. While it has not lost its quaint village feel, it has certainly benefitted from the arrival of a number of hotels in its immediate vicinity, providing plenty of accommodation options for all types of visitors, whatever their taste and budget. 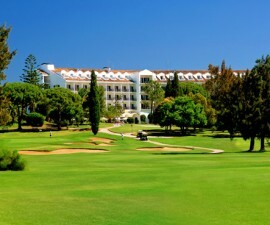 The Pestana Hotel Group has a number of hotels and aparthotels on the Algarve, including four hotels in Alvor – the Pestana Alvor Park Hotel, the Pestana Alvor Praia Hotel, the Pestana Dom Joao II and the Pestana Delfim Hotel. The Pestana Alvor Park Hotel is a modern four-star hotel built in contemporary style, offering plenty of facilities for families, children and guests in search of a lively but relaxed holiday base. Apartment rooms provide added flexibility and larger-than average accommodation. 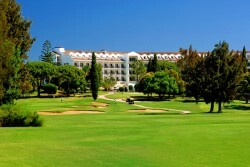 For direct access to Alvor’s golden sands, head to the Pestana Dom Joao II. The in-house kids club is a popular choice for families with children and there is plenty to keep guests of all ages entertained. Its sister hotel, the Pestana Delfim, is located up on the cliff top above the beach and operates on an all-inclusive basis while the Pestana Alvor Praia Hotel, also located high on the cliff, is one of the western Algarve’s leading luxury holiday destinations. 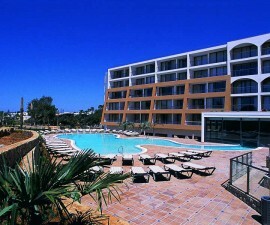 High quality accommodation, a breathtaking location and myriad five-star facilities define this deluxe Algarve hotel. 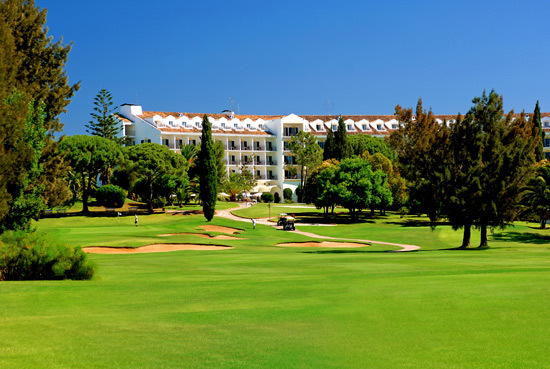 Aparthotels are a popular option on the Algarve and there are many such hotels in Alvor, such as the Luna Alvor Village, the Alvor Baia Hotel Apartments, the Dunas do Alvor Apartments and the luxury Le Meridien Penina Golf & Resort. 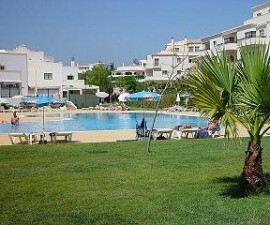 The Luna Alvor Village is a four-star offering located close to the centre of town, with comfortable studios and apartments suitable for between two and six guests. The Alvor Baia Hotel Apartments is one of the latest additions to the Alvor hotel scene and offers an excellent range of luxury facilities, perfect for relaxing, getting pampered and recharging your batteries ready to return to your daily life. 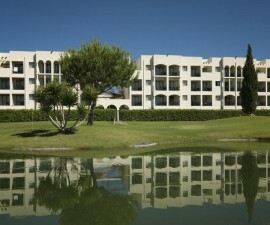 Dunas do Alvor are a cost-effective apartment option just a short stroll from the beach and with easy access to the village centre, while perhaps the most luxurious aparthotel offering comes from Le Meridien Penina Golf & Resort. Regarded as the jewel in the crown of this corner of southern Portugal, this majestic hotel offers some of the best accommodation in the area and a wide array of luxury leisure and recreational facilities.